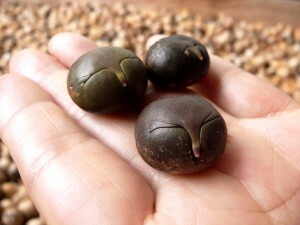 Maya Nut is a nut of Ramón tree which has been present since ancient Mayan times. Ramón is a Spanish name, and among indigenous people, it is known by names such as Ujushte (Ujuxte) or Mojo. 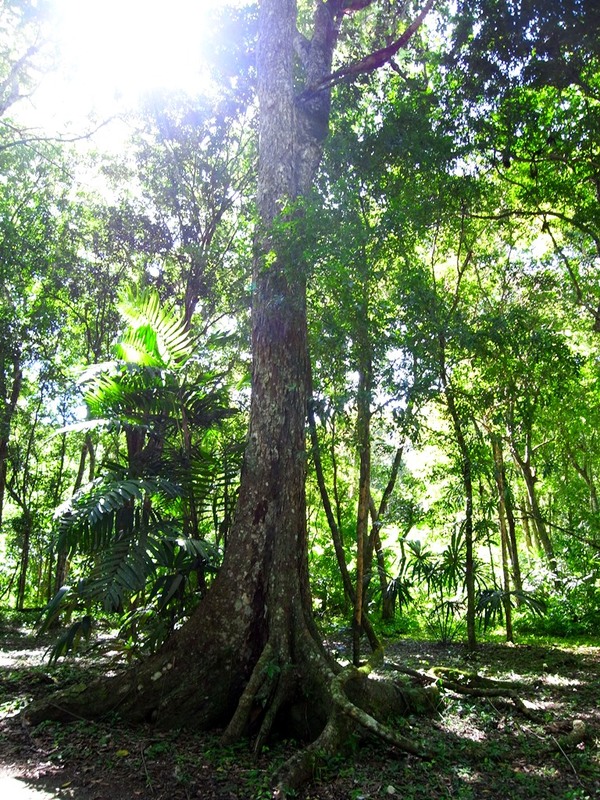 It is one of the tallest trees in rainforests in Guatemala, growing as high as 45m. This nut has long been the food for birds and animals in the forests. When the nut falls on the ground, it becomes food for us humans, too. Many animals including humans are getting the precious nourishment from Maya Nut. Ramón trees used to be seen everywhere in Central America, but as the rainforests are being lost, Ramón trees are also on the decrease. In some areas, the tree has become extinct. Grows in the southern region of Mexico and the tropical areas of Central America. In Guatemala, particularly common in the tropical rainforests in northern Peten. Ramón nut: used for food in the ancient Mayan civilization. High in nutrition: food for wild animals in jungles, and also used as feed for livestock. Seeds and leaves: used for medicinal purposes.